Saskatoon's Ryan Watson is a working stone carver, a trade nearly as old as civilization. He says there's plenty of demand for the ancient profession in a modern world. Ryan Watson was working as a line cook in Saskatoon, but was looking for something different. So, he decided to give stone carving a try. "On a whim I went to Ontario and took a heritage and traditional masonry course," said Watson. Now, he spends long days in his workshop working with stone, often by hand. He finds a lot to enjoy in a craft even he describes as "tedious." "It's almost a meditative state. If you're staring at the stone and you're carving stone for eight hours a day, it gives you a lot of time to think," said Watson. Watson went on to work on notable projects in the United States, including restoration work on the historic Chicago Board of Trade Building. "If you think of the old cities of Europe and in the States, the sort of lasting effect when you go there really is the stonework, so it's very nice to be part of it." 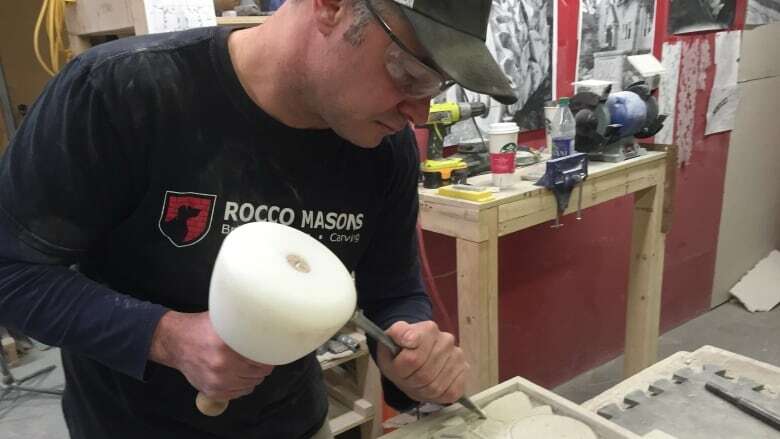 Watson now runs Rocco Masons with his wife in Saskatoon and is finding there's a demand for an old craft in a modern city. He has been involved in helping to design the masonry for the King George Hotel, Timber Pointe on Queen Street and most recently the Broadway building at 11th Street and Broadway Avenue. For Watson, the greatest appeal of stone carving is how the work endures. "It's something my grandkids could walk down the street and say, 'Hey, you know there's something my grandad built.' It's a lasting thing."